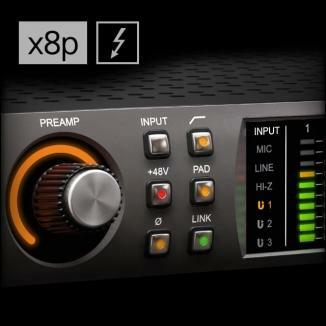 In the recording world, engineers often use the term “channel strip” to refer to products that have the input structure of a high-end mixer: a preamp, an equalizer, and a dynamics processor. The LA-610 MkII Classic Tube Recording Channel fits this description, providing the most affordable way to get the high-quality sound of a Universal Audio product when recording to disk or tape. The LA-610 MkII combines a tube-based preamp with an optical compressor, two vintage technologies that are enhanced with high-quality, modern components. Together, they give you clean gain when you need it, as well as a wide range of tube coloration. 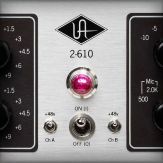 The nature of the unit’s old-school, LA-2A-style, electro-optical compressor/limiter is well suited to a wide range of sources, particularly vocals, guitars, and bass. 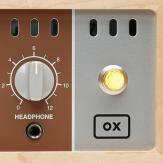 The resulting compression is silky smooth and even, yielding both vintage and contemporary sounds. I’ll explain how to use the important features of the LA-610 MkII in real-world sessions. To demonstrate how easy it is to get good sounds, I’ll share a couple of quick recipes for tracking voice, acoustic guitar, and electric guitar and bass. From there, you can tweak the controls to fit your own music. I won’t go into much detail about why each component does what it does. The manual explains that in plain English. Instead, let’s look at the two main sections of the LA-610 MkII and see how to get the most out of them. 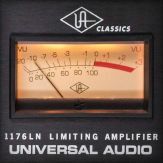 Universal Audio’s historic 610 preamp design was slightly modified for the LA-610 MkII. Most notably, a subtle boost in the high-frequency character was added to compensate for the warmth that the compressor section offers. 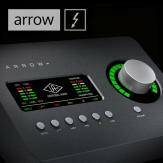 High- and low-shelving EQ is also provided, allowing you to sculpt your tone further. When musicians think of vacuum tubes, they sometimes mistakenly equate them with distortion. In reality, a well-designed tube circuit amplifies sound cleanly when you set the input gain properly. As you push the tubes a little harder, they emphasize the even-order harmonics of the input signal, which many people describe as “musical” or “warm.” In total, fives tubes are used within the LA-610 MkII’s circuitry. Some are employed by the preamp circuitry, while others control compression characteristics, giving you an infinite variety of sounds between clean and harmonically rich. The preamp offers plenty of gain for every kind of microphone—dynamic, ribbon, condenser—as well as guitars and basses, with active or passive pickups. You can also use the Line Input to add tube texture to line-level signals, either from keyboards or recorded tracks. The key is in knowing how to set the Gain and Level controls. As a rule of thumb, the cleanest way to amplify your signal is by setting the Gain knob as low as possible while dialing in the amount of boost you want with the Level control. Level knob settings between 5 and 7 commonly produce clean signals; however, the receiving device ultimately dictates output gain. As you will see in a moment, I use this formula when I want to start with an uncolored tone for the sessions covered in this article. Of course, there will be times when you’ll want to take full advantage of the tubes and add some grit to your music. Depending on your input, you will get there the quickest with high Gain settings and low Level settings. From there, you can squash the signal with the compressor or limiter and use its Gain control to add more color. I’ll show you an example of that in a moment using electric guitar and bass. 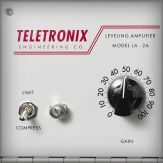 Following the 610 preamp and EQ is a compressor that is based on the legendary Teletronix® LA-2A, one of the most popular dynamics processors ever made. The “LA” in the name stands for “leveling amplifier.” Think about that phrase for a moment: It’s a circuit that levels out the dynamic range of a signal. These days, it is referred to as a compressor, but I'll focus on the leveling concept. 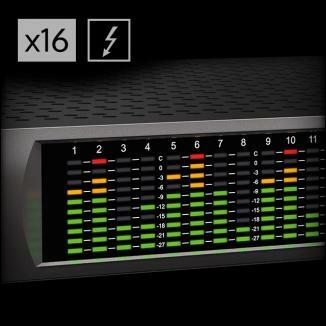 Compression offers two major benefits when you record and mix. First, it automatically reduces the volume level of any sudden peaks, allowing you to raise the overall level of the track in the mix, while bringing out the quieter parts that were covered up. 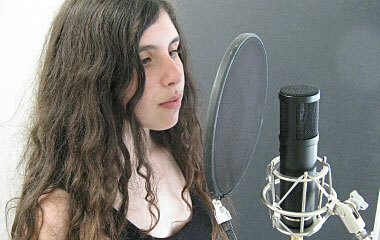 For example, a vocal track often has a wide dynamic range, which can force you to lower its overall volume level. As a result, some of the lyrics will get lost in the mix once you bring in the other tracks. That’s where a compressor comes in handy. By carefully leveling out the peaks, you can turn up the track and hear the singer’s every nuance. Second, a compressor adds consistency to an instrumental or vocal performance when used judiciously. Because the various frequency ranges of an instrument do not have the same volume level, a compressor is used to make every note sound uniform. That’s another reason engineers commonly compress electric bass and guitar, as well as percussion such as the kick drum. It allows them to make every note consistent, while bringing out the tone of the instrument. 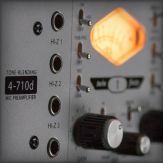 What’s great about the LA-610 MkII’s compressor/limiter is that it is simple to use: one knob, Peak Reduction, controls nearly every aspect of the circuit. 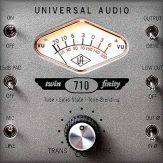 The compressor/limiter reacts to the frequency and intensity of the input signal, adjusting several parameters automatically, so you don’t have to think about them. All you have to do is turn the Peak Reduction knob and listen. No need to worry about ratios, attack and decay times, knee shapes. The compressor’s electro-optical circuit takes care of the details based on what you’re recording, letting you stay creative. As the output level decreases, use the compressor’s Gain knob to boost the compressed/limited signal. It, too, has a tube stage, for additional timbral shading. If you are already familiar with compressors and need a point of reference, the LA-610 MkII starts with a compression ratio of 3:1. 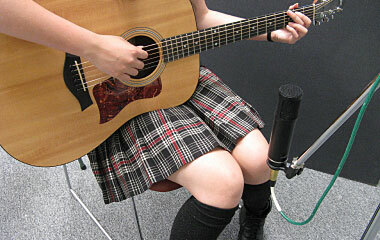 This is a common setting when recording instruments such as acoustic guitar and voice, where you usually want transparent compression. In addition, the circuit begins with a 10ms attack time, which changes based on the input, as well as a dual-stage release, beginning at 60 ms for the first half, and from 1 to 15 seconds for the remainder (depending on the frequency content of the signal). Consequently, the LA-610 MkII adds a natural decay to the end of a note, no matter what you record. That’s the magic of an electro-optical compressor. 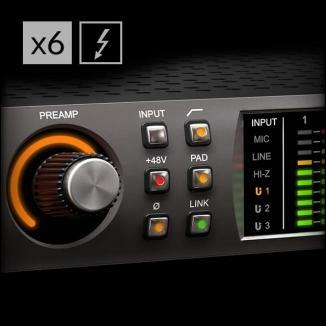 The I/O on the LA-610 MkII is fairly straightforward, but keep in mind that the Line Output jack, which uses an XLR connector, sends a pro-level, +4dBu signal. If you’re plugging the LA-610 MkII into a mixer before recording, you should have no trouble getting a clean, undistorted signal when you want it. 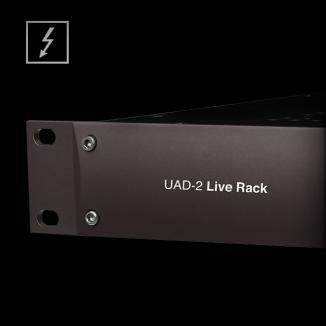 However, problems can occur when you plug the LA-610 MkII’s output directly into the input of an audio interface that will accept a wide range of line-level inputs, such as Avid’s M-Box 2, for example. 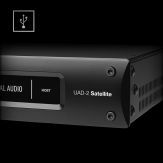 If you are connecting the LA-610 MkII’s output to the M-Box 2, first select DI/Line as the interface’s input source for that channel. Next, set the channel’s Input control fully CCW and engage the channel’s Pad on the interface to achieve a +4dBu input (with 17 dB of headroom via the M-Box 2’s Input control). Finally, connect the LA-610 MkII Line Output jack to the appropriate channel’s ¼” TRS Line-In jack on the M-Box 2. 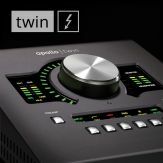 You will need a cable with a female XLR plug on one end (which connects to the LA-610 MkII’s Line Output) and a TRS plug on the other end that connects to the interface (see photo). 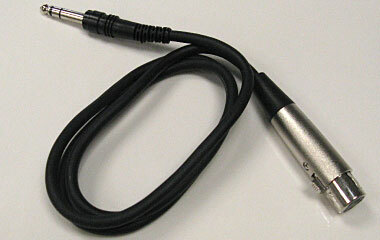 You can also use a TRS adapter that attaches to the male end of an XLR mic cable. If you want to run a line-level instrument, such as a keyboard, cleanly though the LA-610 MkII, begin by plugging it into the rear-panel Line Input jack before you try the DI input. If your keyboard has a ¼" output, you’ll want to use a cable that has a ¼" plug on one end (for the keyboard) and a male XLR plug (for the LA-610 MkII Line Input) on the other. Although the DI input is designed for guitars and basses, it might lend a characteristically vintage sound to older electromechanical keyboards that have lower-level outputs, such as the Fender Rhodes, Wurlitzer electric pianos, and Hohner Clavinets. 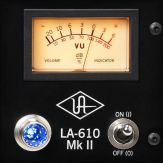 Because the LA-610 MkII’s compressor does a lot of the work for you, the VU meter is handy for setting and matching levels. The meter has three settings, primarily because there are three things you’ll want to see. The Preamp setting, as the name suggests, shows you the level of your input signal at the preamp stage. On the other hand, set the meter to Output when you want to see how much make-up gain you’re adding after the compressor/limiter. The Output meter setting (as well as the Gain knob next to it) only works when you have the compressor/limiter engaged. Although it might seem confusing if you’ve never used it before, the gain reduction (GR) setting is useful and easy to understand. It simply shows you how far the signal peaks are being reduced by the compressor. The black numbers at the top of the stems indicate the number of dB of gain reduction. So if you want 3 dB of gain reduction, switch the meter to GR, then turn up the Peak Reduction knob until the needle begins swinging to the –3 line. In other words, the higher your Peak Reduction setting is, the more the needle will move when you have loud sounds. Many engineers will keep a recording log and make notes of the amount of gain reduction they used on an instrument during a session. That way, they can recreate the sound at a later date. If the meter doesn’t move when you think it should, check to see if you have the compressor or limiter switched in, whether you’ve selected GR and your Peak Reduction control is at zero, or if Output is selected and the Gain knob is at zero. Because the voice can go from a whisper to a scream, vocal tracks usually benefit from leveling, whether you add the compression while tracking or during the mix. What’s great about the LA-610 MkII is that it gives you plenty of clean gain and transparent compression when you want it, but also allows you to beef up the singer’s voice using the tube stage of both the preamp and the compressor. For example, I recently used a large-diaphragm condenser mic with the LA-610 MkII to track a female vocalist belting out a country-rock song. Because I wanted a clean sound with a bit of attitude, I set the preamp Gain control at 0 and the Level knob to 4.5. The result was a clean sound, but slightly richer in timbre than if I had set the Gain to –5 or –10 and the level at 7. For the song’s intro, which had sparse accompaniment, I also added 1.5 dB of EQ to the voice at 200 Hz, to give a subtle low-frequency boost to her voice in a more controlled way than relying on the proximity effect provided by the cardioid pattern of the mic. The melody and lyrics gave the vocal part a fairly wide dynamic range, which I tamed by switching in the compressor and dialing in an amount of gain reduction that averaged –6 dB during the more aggressive parts of the verse. This gave her voice a tough sound that fit the emotion of the song, while boosting the quieter parts enough to be heard clearly. And when she got to the more delicate “la-la-la” part of the chorus, the peak reduction eased up appropriately, resulting in a lighter sound. Note that reducing the peaks by –6 to –10 dB allowed me to boost the overall vocal track by the same amount. When you use this amount of gain reduction and solo the track, you can hear that the voice is being compressed. However, once the vocal part is heard within the context of the mix, the compression is transparent. One surprising benefit of the higher gain reduction in this session was that it brought out the natural reverberation of the warehouse in which we tracked the vocal. Even within the mix, you can hear the lovely, natural reverb decay of the cavernous room on her voice. Background vocals also benefit greatly from the kind of leveling that the LA-610 MkII offers, because they sit behind the lead vocals in a mix. Consequently, it is even more important that every word be heard clearly in these tracks. One of the main reasons engineers add compression to an acoustic guitar track is to even it out, both because the player will have a large dynamic range when they strum or fingerpick, and because some notes and chords will be louder than others depending on where they are played. An opto-compressor, such as the one in the LA-610 MkII, levels out the signal nicely, but without making the listener aware that you are doing so. 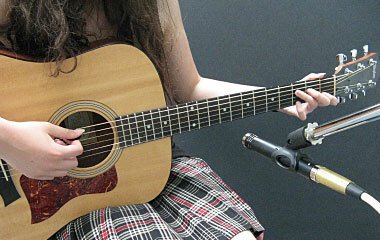 For an acoustic song where energetic strumming was the main rhythmic texture, I used a small diaphragm condenser mic, cardioid pattern, positioned six inches away from the neck and aimed at the 12th fret. I started with the cleanest preamp setting (Gain at –10, Level at 7) and then added -3 to -6 dB of gain reduction, setting the makeup gain knob just above 6. However, the guitarist wanted a little more edge to the tone, and after a little work, we settled on a 0 Gain setting with the level control at 5.5. Next, I used the EQ to remove 1.5 dB at 200 Hz, which allowed the compressor to work more smoothly based on the vigorous guitar part. For the next song, which was fingerpicked, I placed a large-diaphragm condenser, cardioid pattern, eight inches from the 12th fret. I pointed the mic slightly towards the soundhole in order to capture both the sparkle of the fingerpicking as well as the warm, resonant qualities of the guitar’s body. 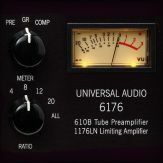 Getting a nice balance of the instrument’s frequency range was easy with the preamp Gain set at –5 and the Level at 7.5. By adding –3 to –6 dB of gain reduction, I was able to even out the accents in a natural and pleasing way. After a couple of vocal takes over this track, the singer decided she wanted to re-record it with a folky, late-‘60s guitar sound, reminiscent of what you might hear on a Nick Drake album. To get a woollier sound, I reduced the Level to 4.5 and raised the Gain to +5 in order to push the tube a little harder. 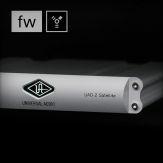 The final touches included a 3 dB EQ boost at 200 Hz paired with a high-cut of –3 dB at 7 kHz. Because the LA-610 MkII’s preamp has a slightly brighter sound than earlier 610 models, I could add a bit of high-frequency attenuation without making the track sound dull. The addition of –3 to –6 dB of compression rounded off the edges of the guitar sound in a warm, woody way that supported the voice nicely. One thing you can say about the LA-610 MkII is that it plays well with electric guitars. Every one of the five pickup settings of my Fender Stratocaster sounded big and musical when I plugged it into the DI input, selected the Hi-Z 2.2M setting to match the impedance of my passive pickups, and dialed up the cleanest gain setting: Gain at –10, Level at 7. The guitar part for this song included both rhythmic chord comping and individual notes. In order for me to dig in without worrying about digital overs, I decided to limit the signal. However, only –3 dB of gain reduction was required. I used the VU meter to help me set the output level, using the Preamp setting for the uncompressed view and Output for the compressed signal. By switching between the two modes, as well as keeping an eye on my DAW’s input meters, I was able to get as hot a signal as possible (thus using as many bits as possible), without fear of digital distortion. And at this point, no EQ tweaks were needed: The guitar tone was all there. For a Stones-inspired rhythm track, I cranked up the LA-610 MkII’s Gain to +10 and set the Level control to 5, forcing the compressor to work a little harder. This made the guitar tone chunky without it breaking up into fuzz-like distortion. Because the guitar part was so percussive, I had to set the Peak Reduction knob between 6.5 and 7, resulting in –15 to –20 dB on the VU in GR mode. This added some spank to the sharper transients, which fit in nicely with the drum part. With the compressor’s Gain knob set to 4, I was able to keep the signal in the 75% zone on my DAW’s input meters. When you work with such heavy gain reduction, it changes the tone of the input signal. In this case, it rolled off the highest and lowest frequencies a little too much for the track. Therefore, I brightened up the tone with +1.5 dB at 7 kHz, while adding +3 dB at 200 Hz. I came up with these settings by listening to how the guitar part fit in with the rest of the instruments, and these subtle changes helped the Strat retain its natural sound while sitting it perfectly into the mix. Whether you use a pick or your fingers, the sharp transients and low tones of an electric bass require some sort of leveling. The T4 circuitry in the LA-610 MkII is a natural for this instrument, not only because the attack time can handle the percussive quality of picked and slapped notes, but because the compressor’s dual-release time manages the low-frequency, sustained portion of the note in a very natural and musical way. Here is a situation where I found myself taking the most advantage of tube coloration and the subtleties of the preamp’s EQ. Using a bass with active pickups, I began with the Gain at 0 and the level at 4.5—a clean but solid sound. However, the plucked notes, even at a medium dynamic, sent my DAW into the red. I switched in the limiter and dialed up a significant gain reduction (the VU meter in GR mode hovered around –15 to –20 dB) just to see what the levels would need to be for my DAW to handle the bass part I had in mind. At this point, the signal was obviously over-compressed; the attacks were quieter than the sustained part of the note. By working backward (that is, finding the maximum setting, and then backing down the Peak Reduction control and working with the Gain knob), I found a setting that not only put the peaks and the tone on a level playing field, but one that sounded natural and unprocessed. The trick when recording electric bass is to set the compressor so that the tone doesn’t unnaturally rise in volume immediately after you pluck or pop a note. 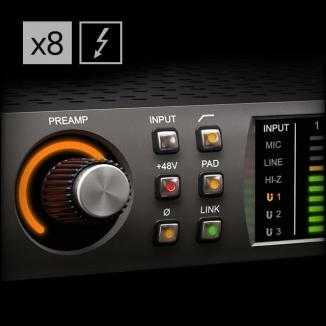 The compressor in the LA-610 MkII also interacts nicely with any EQ settings you make. You can get a ballsy bass sound by putting the Gain at +10 and the Level below 5, and then beefing up the lows by adding 3 dB at 70 and squashing the tone with the limiter. To get a tone that fits a reggae track nicely, just roll off the high EQ at 4.5 kHz, and back the Gain down to 0. Once you get a sense of how the main controls of each section of the LA-610 MkII interact, they will begin to inspire you. Just keep in mind how the gain staging works, as well as the level you’re sending to your recording device. From there, you should have no trouble exploring the variety of colors that the LA-610 MkII’s preamp and compressor have to offer.